I can’t help but to realize how important 10 cent is to both the consumer and the business. No, I’m not talking about price wars between similar products but how far 10 cents can determine whether a customer returns to you. If you haven’t, great! But if you have, you’re probably one of the many out there like myself and I have been doing some observation and testing to see how people have been reacting in this situation. Customer: It’s only 10 cents, do you have really have to charge that? Business A: Nah, I’ll round it up to RM12 for you. Please come again! Customer: (surprised) Oh, here you go. Business C: Thank you, Please come again! Looking at these 3 situations, which situation would you like to be in? How would you like going back to the Business B in Situation 2? Sure, 10 cents isn’t a lot and it will indeed go a long way for a business but from the viewpoint of a customer, that is no customer service and creates a negative impression that may determine the buying behavior of that customer – to not come back to you again. Even worst if that customer decides to use social media as his / her arsenal to vent – more like minded customers will catch the message and perhaps skip you altogether (ouch). Now before you shove this away and think that it’s no big deal, you may have to think again as customers such of these are not rare. Be prepared for situations such as these and you may just win yourself a loyal customer. 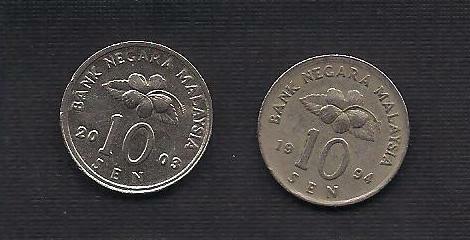 What Can We Learn From 10 cents? Every cent counts. Every deed you do for your customer counts – whether it is a personalized service, special discounts, freebies, a listening ear, priority service, engaging in small talks or even remembering their names.. it makes a difference and that difference may just be THAT differentiating factor that sets you apart from your competitor. Hey bro, thank you for the kind words :) In fact, every bit of value given to customers actually count. Although it may not seem like it but it plays a subtle role in their heads – one day they’ll be using it as a comparison with another company and the company (or in this case, restaurant) that gives the most value wins. Strange huh, on how only 10 cents can become a determining factor in buying decisions / customer loyalty.